Sample or store your product in this 10 ml round frosted jar with shiny black cap. 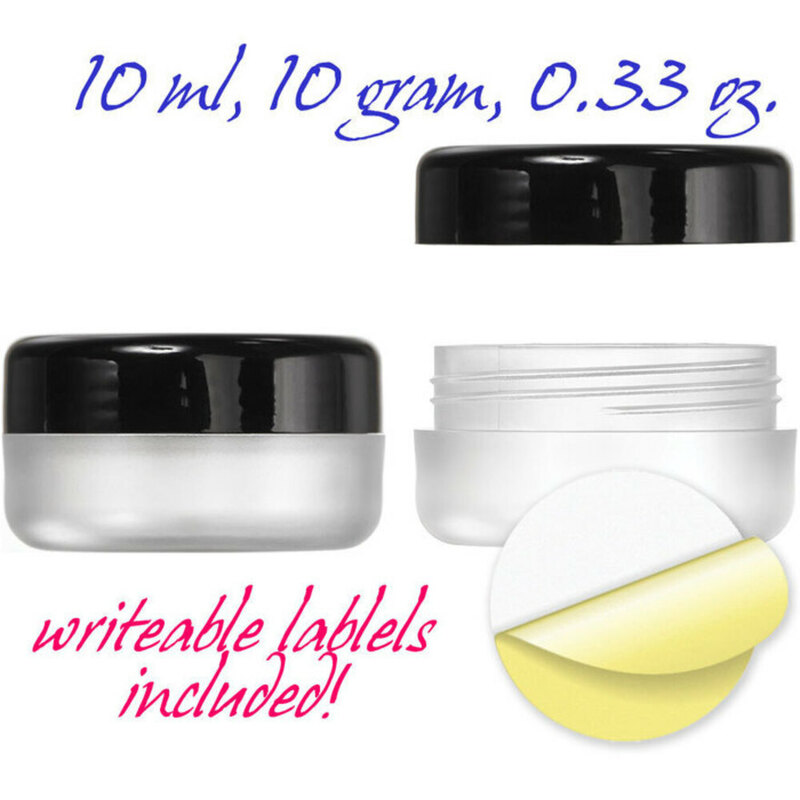 Includes a separate sheet of white, writeable labels. We recommends handwriting on these labels.